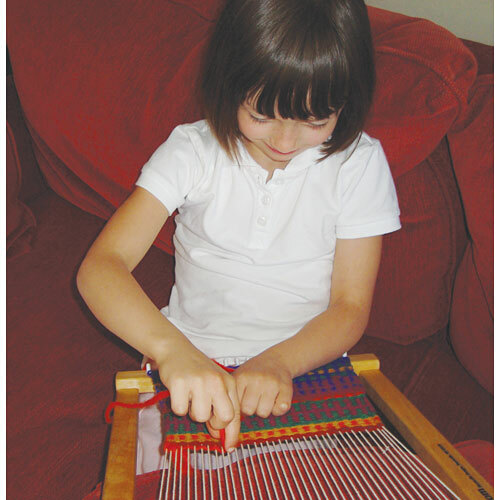 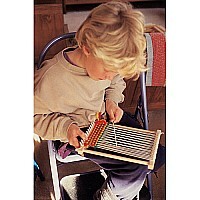 Lap Loom A is made of hardwood and has slanted nylon pegs to keep the warp yarn in place. 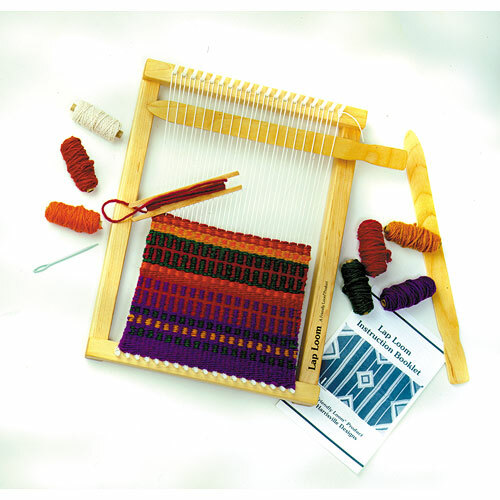 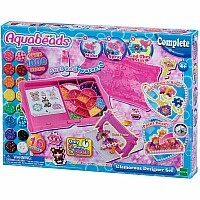 The kit comes with everything you need to weave a project including beautiful bright color wool yarn for creating tapestry type fabric. Used the finished woven piece to make wall hanging, purse, placemat, and more. Measures approximately: 16.50 x 12.25 x 2.00 inches..